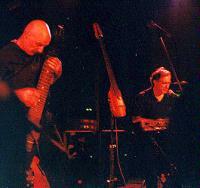 Have you ever seen the Tony Levin band live? If not, what are you waiting for? Just the sheer thrill of seeing musicians of this caliber in the intimate setting in which the band performs, regardless of the individual performance is an experience not to be missed. After all, first you have Levin himself. The man is virtually a prog legend. He has been a part of such groups as King Crimson, Liquid Tension Experiment, Bozzio Levin Stevens and Bruford Levin Upper Extremities. 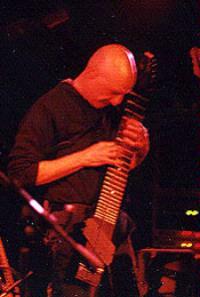 He has always been an innovator both in terms of bass technique and in pioneering the use of the Chapman Stick. 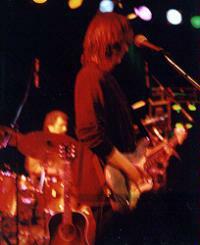 He, along with Tony Levin Band drummer Jerry Marotta was the rhythm section, and will be again, for Peter Gabriel's band. You also get Marotta, who not only performs his percussion duties with this outfit, but also takes the opportunity to occasionally step to center stage as a vocalist. Add into that mix Mr. Synergy himself Larry Fast on keyboards, and top it all off with the guitar work of Todd Rundgren axeman Jesse Gress, and the reputation and skills of this band becomes almost unstoppable. And, we haven't even discussed the performance yet. What a performance they put on, too. 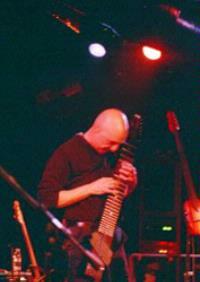 Expect to hear songs from the various phases of Levin's solo career. That brings in the atmospheric sort of textures of his early albums, all the way up to the fun rocking numbers that populate his most recent Pieces of The Sun. Rounding out Levin's share of the repertoire you can expect Peter Gabriel tracks and works by King Crimson (Elephant Talk is always a show stopper). The band even digs into the Gabriel live set for the Genesis chestnut Back in New York City (featuring some of those Marotta vocals, but this time from behind the kit). As one might expect with Fast in the group, they include some Synergy material, as well. Everyone in the group is top-notch and they really seem to enjoy what they are doing. They try to keep it free-flowing and relaxed, while still putting in technically superior performances. That fun-loving nature really seems to add a lot for everyone in attendance. So, for fans of progressive rock, when you take into consideration the sheer wealth of material, the quality of musicianship, and the intimacy of the venues, it just doesn't get much better than this. If you have seen the band live, you can no doubt attest to this. If not, you missed them this tour, don't let it happen again. This review is available in book format (hardcover and paperback) in Music Street Journal: 2002 Year Book Volume 3 at lulu.com/strangesound.